If you follow along with me on Instagram, then you know that I just got back from spending a week down in South Carolina! We stayed in Folly Beach, but spent a lot of time in Charleston, as well as some other nearby towns. Since Charleston is a place that seems to be on a lot of people's radar, I wanted to put a post together to tell and show you some of the highlights of what we did. Now, if you ever plan on taking a trip down, you can check in here for some things you definitely do not want to miss out on! Angel Oak Tree - When my sister and I were saying we wanted to see this, my mom could not understand why on earth we wanted to go look at a tree. As soon as we got to it though, she quickly changed her tune. This tree is nothing short of spectacular. Standing amongst its sprawling branches, you literally feel as though you have been transported to another world. This is something that is not ot be missed! My one tip would be to get there early! We went right after it opened and it was already starting to get crowded. Morris Island Lighthouse - If you are staying in Folly Beach, or find yourself there one day, I definitely recommend taking a little jaunt down to the lighthouse. I woke up early one morning and rode a bike down before hopping off and walking along the beach with the lighthouse off in the distance. It was so relaxing, and honestly having lived in New England for a while now, I appreciate a good lighthouse! 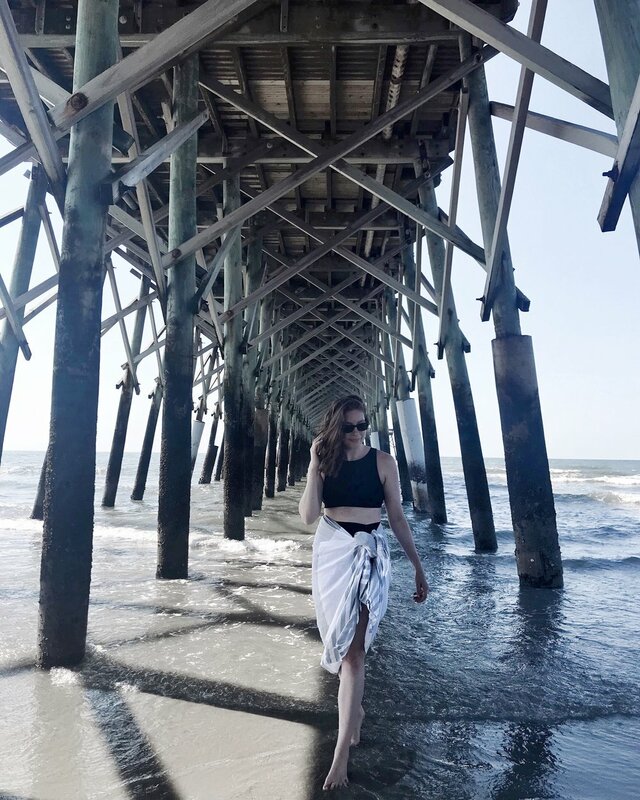 The Pier at Folly Beach - Ok, so I'll admit that I hung out under the pier solely for the 'gram! If you are looking for a bit more than this, then you should still add this to your list of places to check out. If you are into fishing, you can fish from the top of the pier. There is also a restaurant up top, where you can grab food and drinks while overlooking the ocean...not bad right?! Plantations - It is hard to think of going down south and not envision a sprawling plantation. There are quite a few to choose from down in the Charleston area. The ones that had topped our list were Drayton Hall Plantation, Boone Hall Plantation, and Magnolia Plantation. We only ended up going to visit Magnolia. It was gorgeous! There are so many options as far as what you can do for the tour. Everyone will be able to tour the gardens, but you can also add on a tour of the plantation home, a boat cruise, or a trolley ride to take you around the grounds. We opted for the garden and house tour, and as an FYI, the house tour is air conditioned, which is ideal!! Another perk of Magnolia is that there are live farm animals that you can check out while visiting! Shopping on King Street - Shopping...enough said! There is everything from designer stores like Louis Vuitton and Gucci, to more affordable options like Anthropologie and Forever 21. The best stores on King Street though are the boutiques local to Charleston. Two of my favorites were Hampden and Worthwhile (pictured below)! When I say that Worthwhile is one of the coolest stores I have ever been in, I am not exaggerating. I wanted to buy everything!! Pretty Much Anywhere Around The Historic Section of Charleston - Lets be honest here...Charleston is a beautiful little city! Around every corner a photo-op is awaiting you. Its that good! So, if and when you take a trip down, do yourself a favor and leave some time to just stroll through the charming streets! My parents LOVE to cook, so we actually ate a decent amount of meals at home, but below are all of the places that we did eat out at, none of which disappointed! 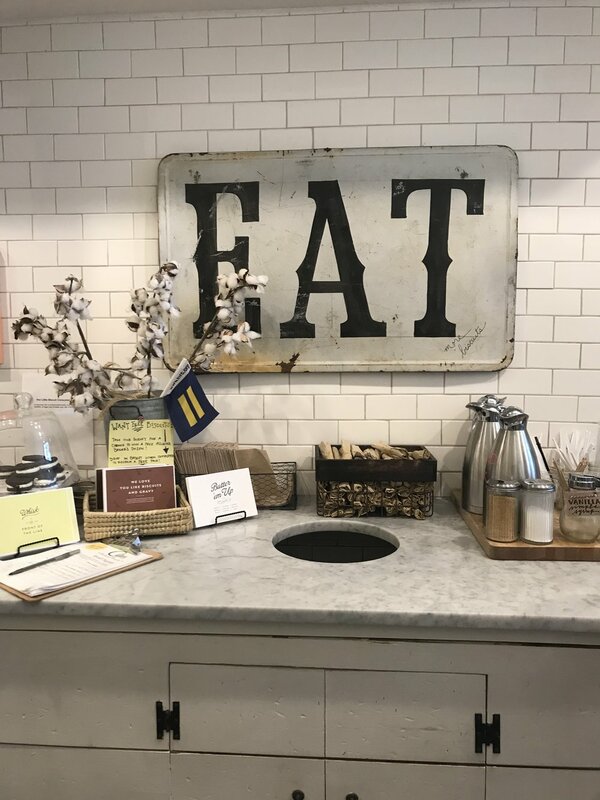 Magnolias - This is one of our favorite restaurants in Charleston! We ate here the last time we came to visit, and we had to go back this time around! You cannot order something bad here...its not possible. This restaurant is on the fancier side (think white table clothes) and serves upscale versions of southern favorites. We had everything from fried green tomatoes to fried chicken and seafood and grits. I'm getting hungry just thinking about it again! Raw 167 - My sister and her bf ate here on the first day. They said the fried oysters and the lobster roll were amazing! Pearlz Oyster Bar - We stopped in here for oysters and cocktails before heading to dinner at Magnolias. 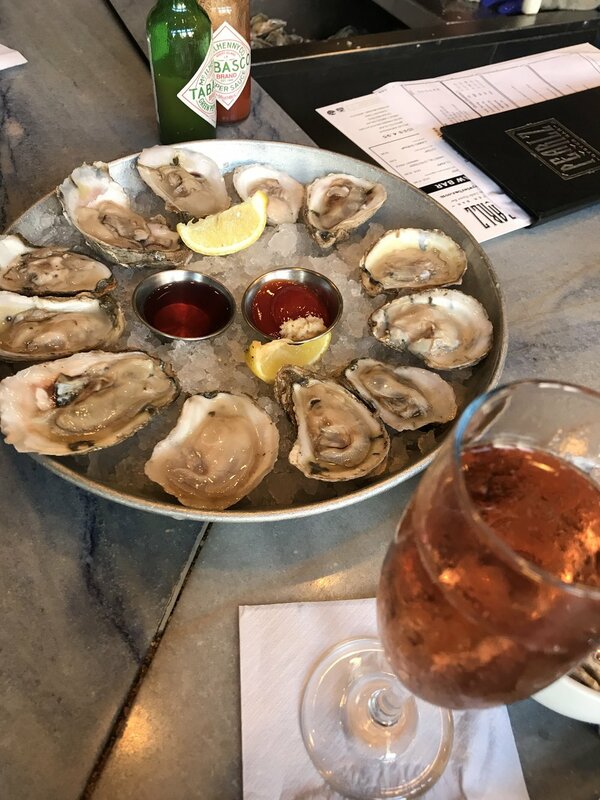 The char-broiled oysters are not to be missed! Also, if you can, sit at the bar by the oyster shucking station. One of the regular oyster shuckers, Mike, knows his oysters and its really cool to watch him prepare everyone's platters! 82 Queen - This restaurant was so cool! It is inside of an old house, so there are all of these little rooms that are used for dining. There is also a really cute outdoor patio in the back that you can eat on, if its not too hot. Also, they have been voted as having the best she crab soup in Charleston for the past three years in a row! As for me, I had the caesar salad with blackened shrimp....one of the best I've ever had! Hanks - Our cousin lives right outside of Charleston, and this was one of the restaurants they took us to. They mainly have seafood on the menu, and let me tell you that the mussels appetizer was one of the best I've had! One thing we did not get, which I am still getting over, was the seafood castle (bigger than the seafood tower). This thing was huge and overflowing with fresh, chilled seafood. It looked incredible! S.N.O.B - This is another repeat restaurant for us! You can't go wrong with a meal at S.N.O.B. (which stands for Slightly North of Broad). We stopped in here to cool off and recover after touring the Aiken Rhett House in 90 degree southern humidity. It was just what we needed! Rodney Scotts BBQ - This was one of my sister's boyfriend's picks. He only came for part of the trip, so we made plans to stop here on the last day. The chef at this BBQ joint won a James Beard Award for his cooking, and the food lives up to it! You really can't go wrong with BBQ when you're down south, but this place was amazing! While all of the meat and sides were incredibly tasty, I think my sister would start off by recommending the banana puddin'. The last thing I wanted to go over on this post for South Carolina obviously has to bring it back to fashion! We were there during the beginning of summer, and of course during a heat wave, so it was HOT! That southern humidity really is no joke. Luckily I had packed all of my favorite sundresses and the flowiest outfits I had in my closet. As all of you know, if you have kept up with me and my musings on fashion, I am a big proponent of building out a wardrobe with items that you can wear for years. 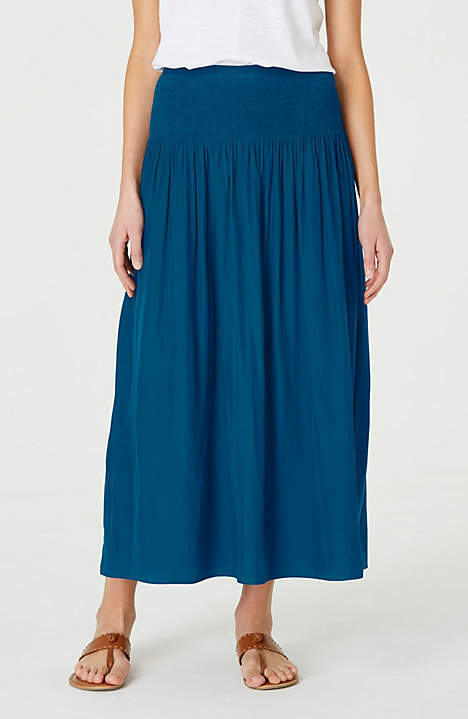 While this is great for my budget, it is not always great when it comes to sharing my looks with all of you because I cannot always find the exact item that I am wearing if it happens to be a few years old. So, apologies in advance if you fell in love with any of the items I was wearing and it is no longer available. I did my best to find items that were as close to the original, or in some instances better! 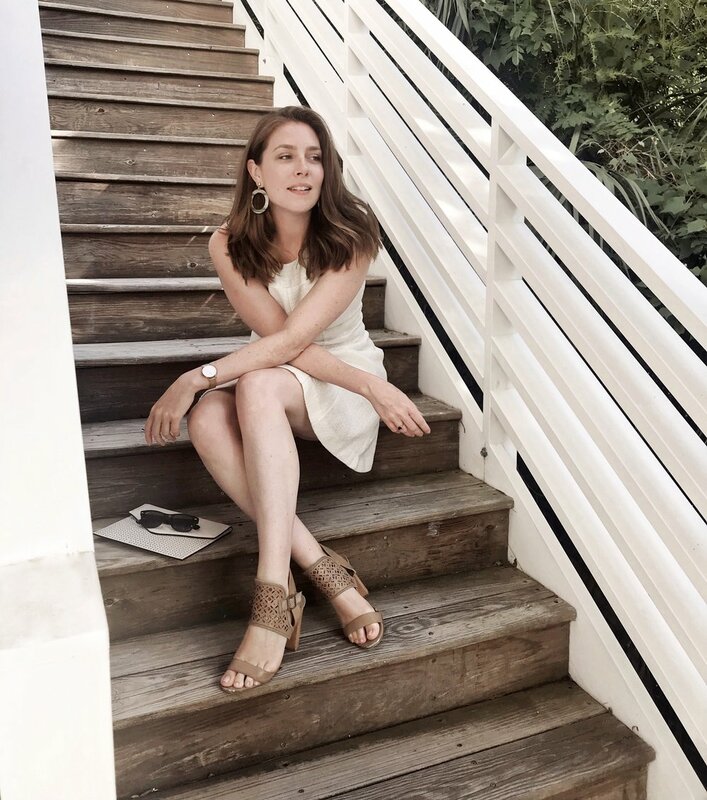 Check out below for a recap of everything I wore while I was down in South Carolina, and to shop each item (be it the same piece or something similar)! If you click on each individual item, it will bring you to a new page where you can shop that piece! The exact pants I am wearing are not available, as they are from last summer. 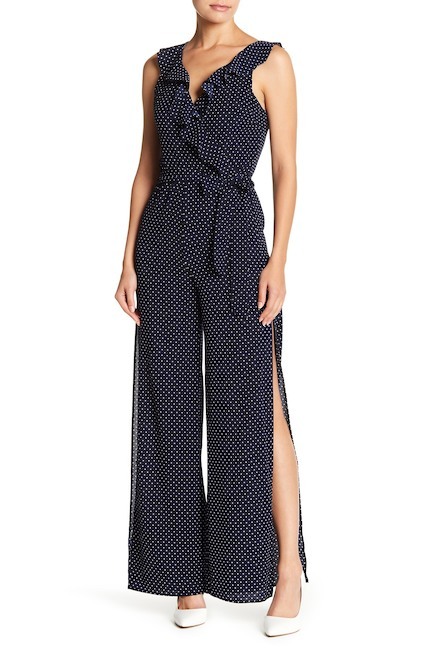 However, I was able to find the same style pants from Banana Republic, just in a different color! Click on the first image of pants below to shop these! They're super comfortable and flattering! For the next few pieces, I decided to have some fun! The earrings I am wearing with my LWD I have had since last year. Since then, lucite earrings have blown up, and for good reason! They are so fun, and instantly add to an outfit. And, probably the best part, they are relatively affordable as far as good jewelry goes! Check out below for some of my favorites! 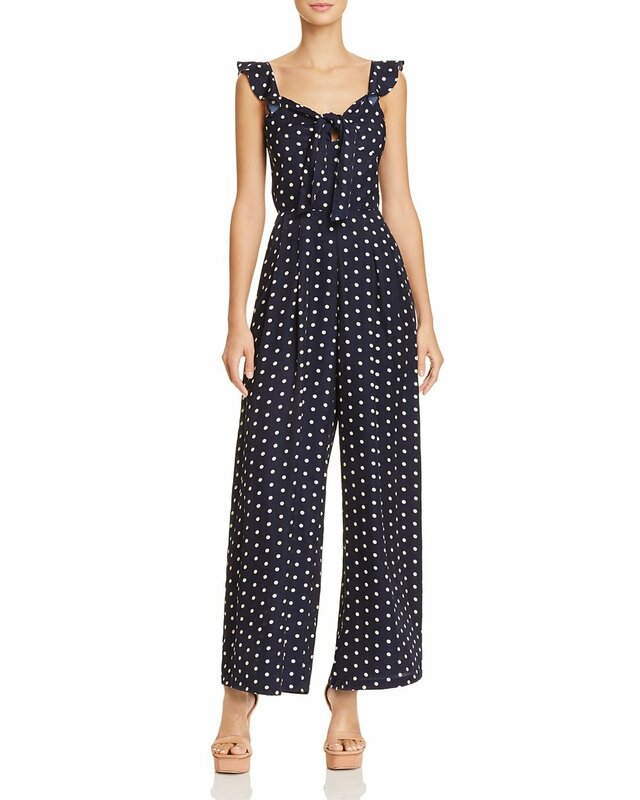 Jumpsuits are one of my all time favorite fashion pieces. With just one item of clothing, you can instantly look so put together! 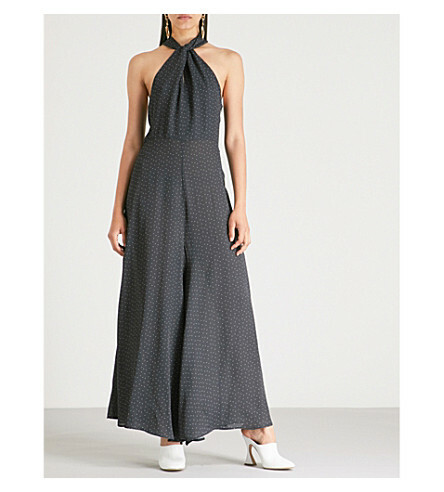 I got this jumpsuit a few summers back, so it is sadly no longer available, but I was able to find some amazing similar pieces! I honestly might have to get the first one that I linked below! 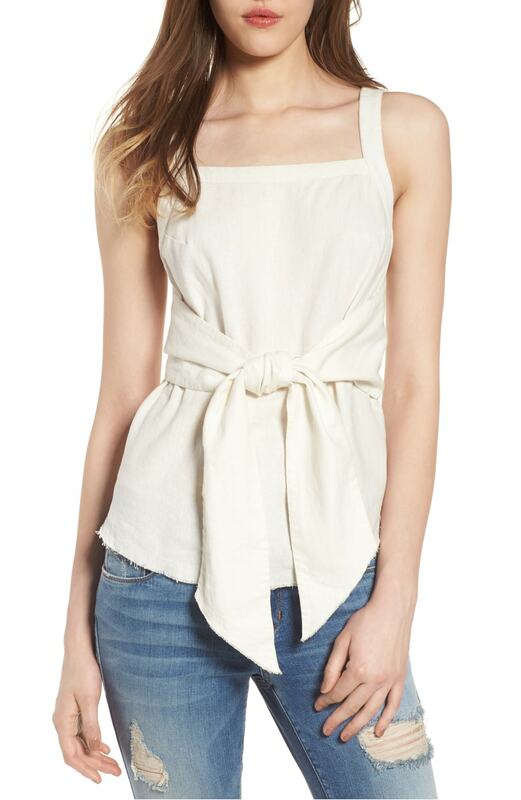 You cannot go wrong with linen when the temps get hot! Again, the pieces I am wearing are all from a couple of years ago, but I managed to find some really similar tops! I also added in a few different colors/prints for the linen skirt, as I think that any closet will benefit from having more than one! Confession/Shopping Tip Time: Ok, this might be weird, but I am actually wearing a sports bra as my bathing suit top! I have done this for a few years now, and haven't looked back. It is so easy to find sports bras that come with the cutest strappy backs, and they tend to be way way cheaper than bathing suits! Who doesn't love looking cute and saving some money! 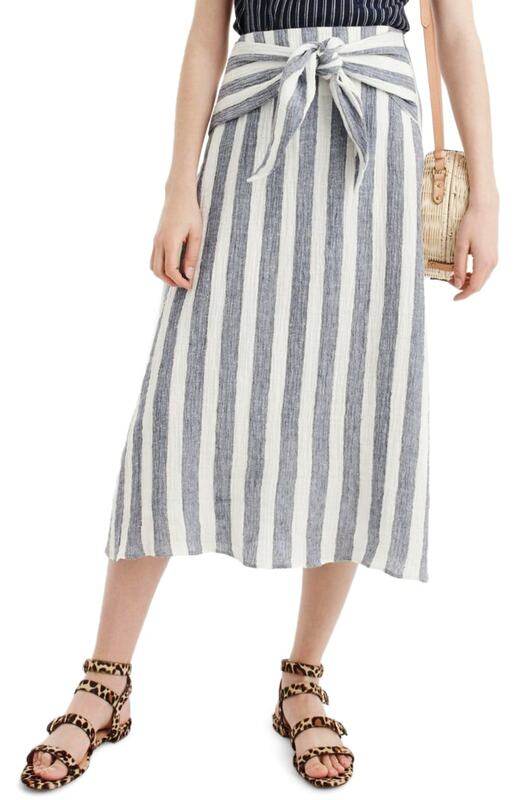 Also, the piece tied around my waist is actually a beach towel! Talk about multi-functional!